It will come as no surprise that I have been trying out some new skin care. Skin care, and keeping my skin hydrated, is my eternal struggle. As we enter the summer this problem multiplies. My skin does not agree with heat. Air conditioning dries me out, I get heat rashes everywhere, and I am UV sensitive due to a mix of medications and being pale AF so sun worshipping is just not an option; And so I bathe in everything that promises moisturising and reparative properties. So... does it work? Initially I was sceptical. When I first applied the gel to my skin it felt sticky to the touch and I wasn't sure whether I was going to wake up even drier than normal. 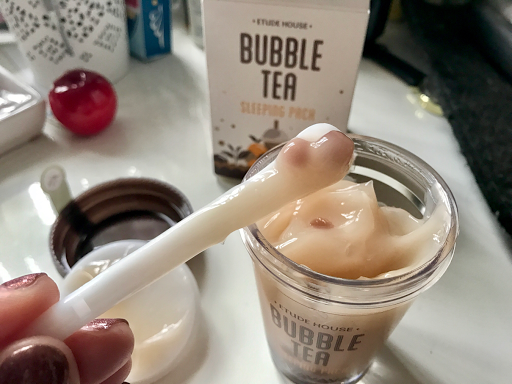 I do not enjoy stickiness so I was underwhelmed. I was pleased to wake up and find that over night my skin had softened; not by a lot but enough to be noticeable to someone who touches themself a lot during the day (easy… nervous habit, not a rude thing). As for the bubbles I can't really tell what difference they make. They seem to be there just to add a novelty factor. I don't mind it because it's fun and you get to squish them all up in to nothing in your hands which is satisfyingly cathartic but ultimately pointless in terms of skin care. 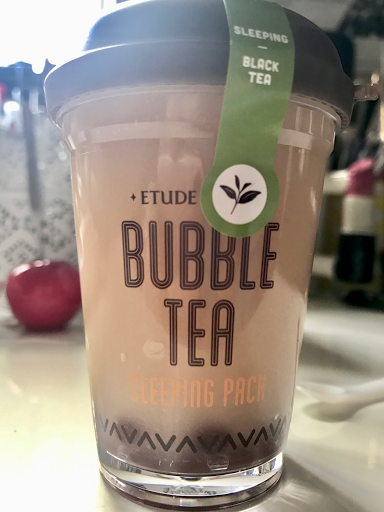 The major selling point that would make me buy this again (or try one of the other two strawberry and green tea varieties) is the size. It is huge! For 12.99 you get 100g of product but as you can see from the portion below you are only using a fraction of that each time. This beast of a tub is going to last ages! I love when I can say that. 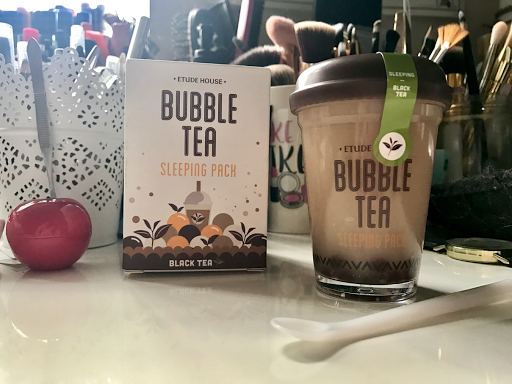 As mentioned I got the bubble tea sleeping pack from TK Maxx for 12.99 but it is available at Amazon* for 15.70 if you can't find it near you. 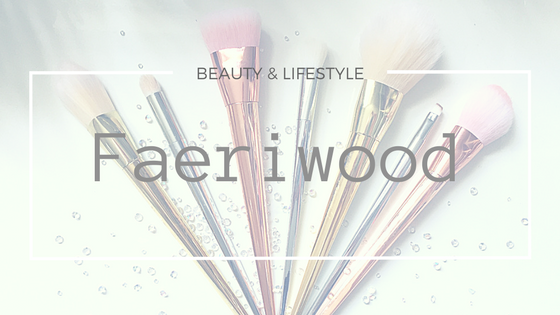 *I am a member of Amazon Affiliates, this link is an affiliate link and if you choose to purchase through it I will receive a few pennies. Literally pennies. Many thanks. ooh this sounds interesting. 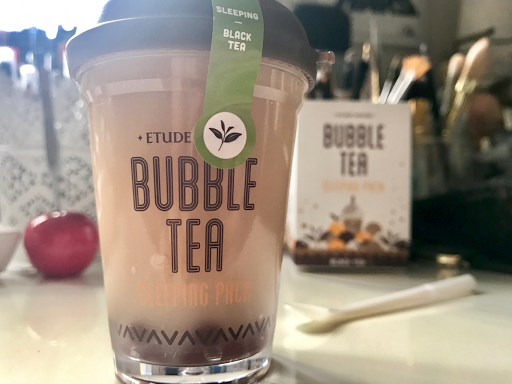 I've never tried a sleeping mask before. I think I'm going to try it out.